From the opening of camp 75 years ago, Yavneh has been a place where all Jews are encouraged to engage in our traditions and practices. The principle of “Kol Yisrael Zeh ba zeh (all of Israel is responsible for one another) guides us as we ensure a place for each individual camper to succeed at camp. We strongly believe that inclusion is good for everyone. Friendships and interactions at camp thrive among campers who come from different backgrounds and practices. I can’t think of a better place for Jewish kids in the summer than Camp Yavneh. Yavneh implements the concept of Klal Yisrael better than any place else I can think of because kids, counselors and staff live it every day. 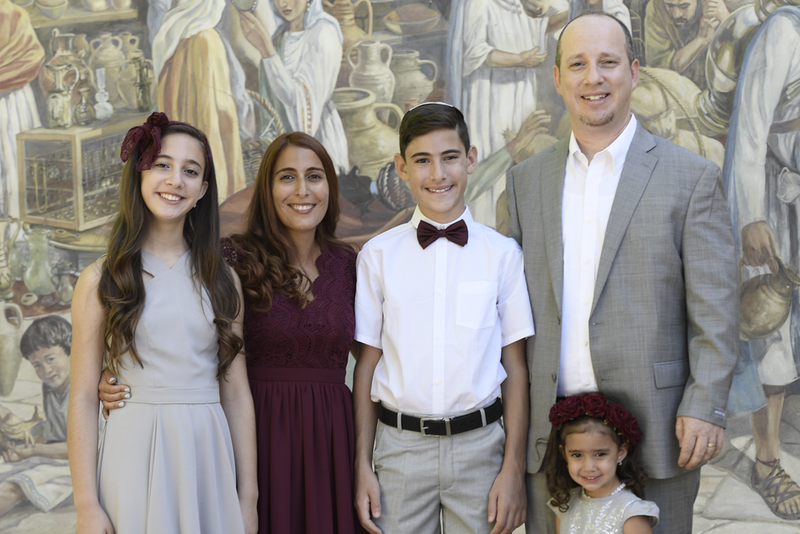 Learn why these four families chose Yavneh. The Cammy children started attending Camp Yavneh in 2010. 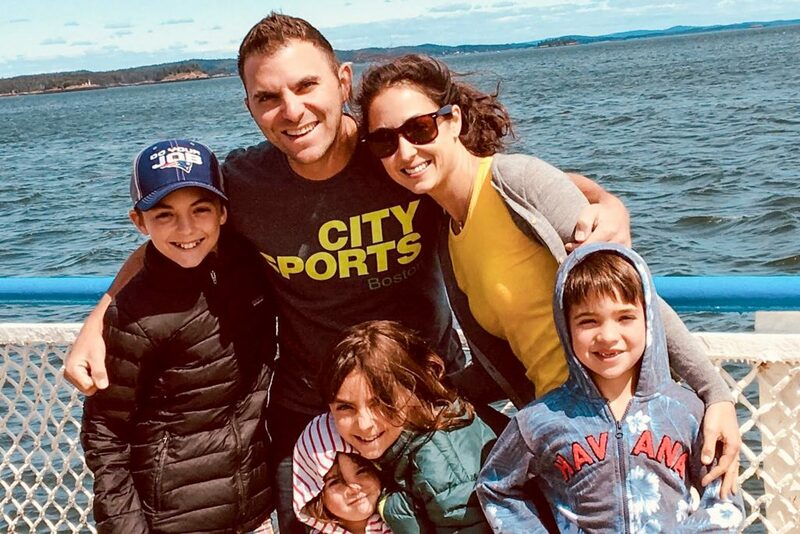 By summer 2017 they had three children at Yavneh, ranging from a daughter in the oldest aydah (unit) to a son in the youngest (and one in between!). They are from the small college town of Northampton in Western Massachusetts, where they are members of a progressive conservative synagogue. Their children attended a quaint Jewish day school through sixth grade, and then the public middle and high schools. 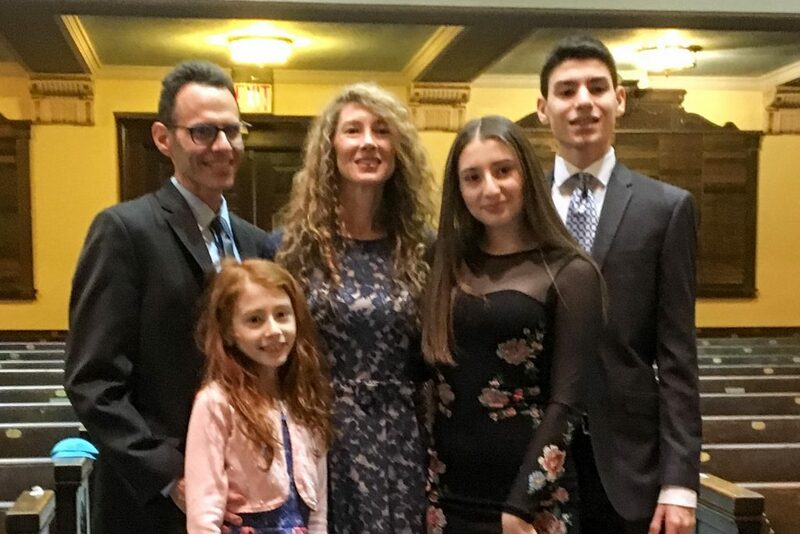 Both parents are professors of Jewish literature at local colleges, which allows them to travel often with their family to Israel for conferences and research. They recently spent a year-long sabbatical as a family in Tel Aviv, and several years before that in Jerusalem. Justin is originally from Canada and an alumnus of Camp B’nai Brith of Ottawa, and Rachel’s family is from Mexico, so they are a synthesis of various Jewish experiences in the Americas. We were drawn to Yavneh because of its commitment to Jewish pluralism. As ideological and religious divisions threaten to pull communities apart we are attracted to Yavneh’s celebration of strength in diversity. They are a family of six living in Sharon, MA. Their children attend public school and they are active in Young Israel. Their two oldest have attended Yavneh for several years, and they can report with certainty that the camp does an amazing job imparting a love for Judaism and Israel in an inclusive, fun and warm way. 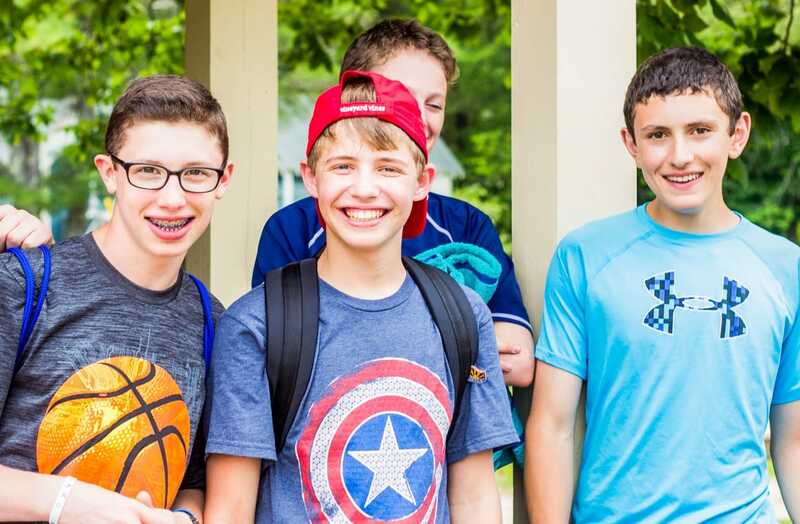 Their kids speak with excitement about camp and camp friends year round – Yavneh is their second home – and their friends and counselors are truly a part of their family. They look forward to their other children being old enough to experience the magic of Yavneh as well! 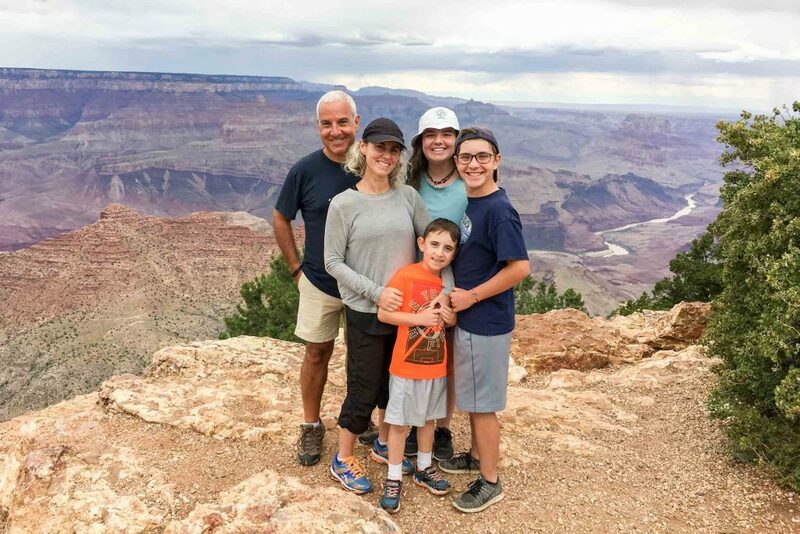 When our oldest, Benzi, was entering third grade, we wanted to find a Jewish summer camp that our kids could call home. There were many camps that seemed wonderful and we truly didn’t know how to make the decision. We were looking for a place that would genuinely inspire and nurture our children, and somewhere that would be fun and meaningful. When we started researching Yavneh – hearing personal accounts, exploring the website and attending a virtual open house – we were all so completely drawn to the camp. If I had to sum up why we chose Yavneh, it is because of the camp’s inclusivity of religious practice, combined with the camp’s serious commitment to Judaism and its devotion to Israel. The Lev-Tovs have three children, twins Yoni and Maya, and a younger daughter Maayan. The twins have been attending Yavneh for two years. Both of the parents, Hadar and Sarit, are from different backgrounds. Hadar is Ashkenazi and moved here from Israel after the army and Sarit is Sephardi and was born and raised in Brooklyn. All three of their children attend Scheck Hillel Community School in Miami and they go to Young Israel of Hollywood. We were introduced to Yavneh by Jeff Weener and learned that Yavneh is religious and Klal Yisrael. We discovered that Yavneh is very inclusive: a place where campers are free to do what they want Jewishly and learn to respect others. Campers also learn how to behave and maneuver in an environment of campers that includes all backgrounds of religious observance. 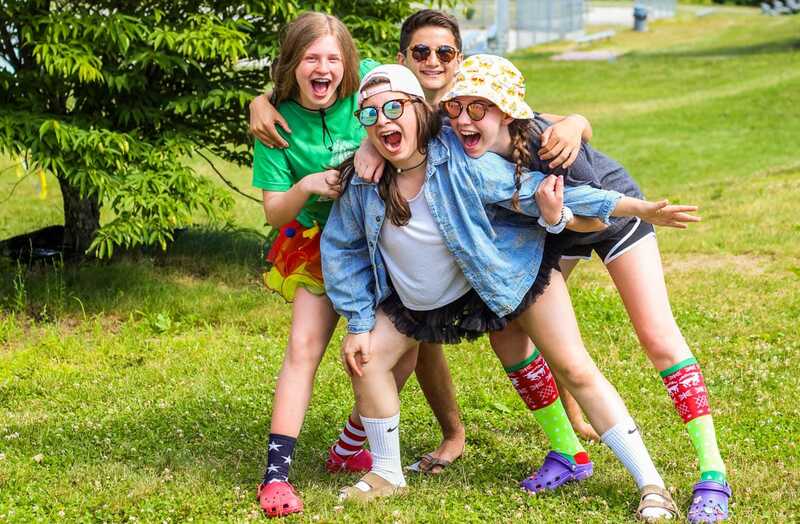 Yavneh also helps campers maintain their Jewishness, teaches them about Israel, introduces and reinforces new topics in Judaism and shows campers that Judaism is a way of life in a fun and interactive environment. We love how well organized the camp is. It is an extremely well-oiled machine. The kids have something fun and engaging to do or learn about every waking hour of the day and sometimes at night… The twins told us about the activity they had about Maapilim and how they had to cross the lake secretly at night without getting caught. As an Israeli living in the US I gave up on my kids having these type of lessons and so I was very moved when I heard that. At least one of the Rothschild children have been at Camp Yavneh since 2012. Our family belongs to Congregation Ansche Chesed on the Upper West Side of Manhattan and the kids go to various public schools in the City. We have strong family and personal ties to Israel and we visit frequently. We spoke more Hebrew with the kids when they were younger, but still work to make sure that they all understand and use Hebrew whenever they can. The family is strongly committed to pursuing social justice and sees this as the highest expression of its Judaism. There is something so special about the way Shabbat is celebrated at camp that it’s almost mystical for the campers. Yavneh plays an important role in creating a positive image of what it means to be Jewish to our children.